It hit me – here was that tension! 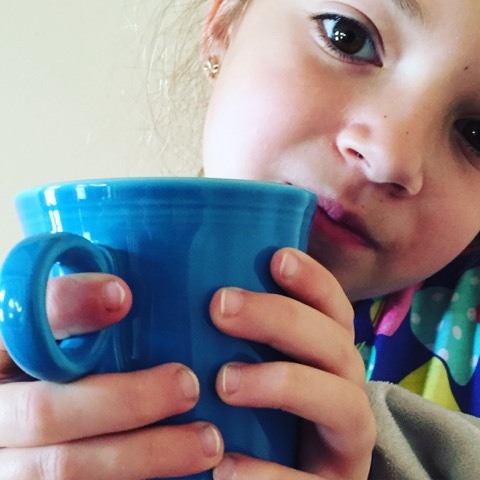 I really wanted Ella to stop because her short nails reflected on me as a parent. And I am so glad God nudged me to see a bigger lesson was at play. I could get visibly frustrated with her and just make her memorize this self-control card. Or, I could encourage her that she could do it. Because she loves Jesus and he lives in her, she has the fruit of the Spirit – and one of those is self-control. I reminded her of the definition: Showing restraint even when desires are strong. I reminded her what she was doing was hard but not impossible and that I was cheering for her. I reminded her that Jesus does care about struggles like this. We didn’t talk about it much more, but something clicked in Ella. And I do think God cares about our struggles – even biting nails. And she did it. I’m so so thankful God used this little (but huge) moment to remind Ella that He is alive in her and working. That self-control is something she will need in her life for many years to come. And the next time she needs restraint? She can look back on this time. When she called on her Savior and together they won. Lord, I want the heart of my kids. I want them to know You. Please guide my days to show them You are real. Help me to let go of looking like a great mom. Let me be more concerned with my children and their hearts than any outside appearance or performance. This story is exactly why I created the Virtue Memory Cards. My heart’s desire is that families will grow closer to God and experience Him. I would never want a family to pick them up and use them to look good or score points. They were designed to impact the heart. 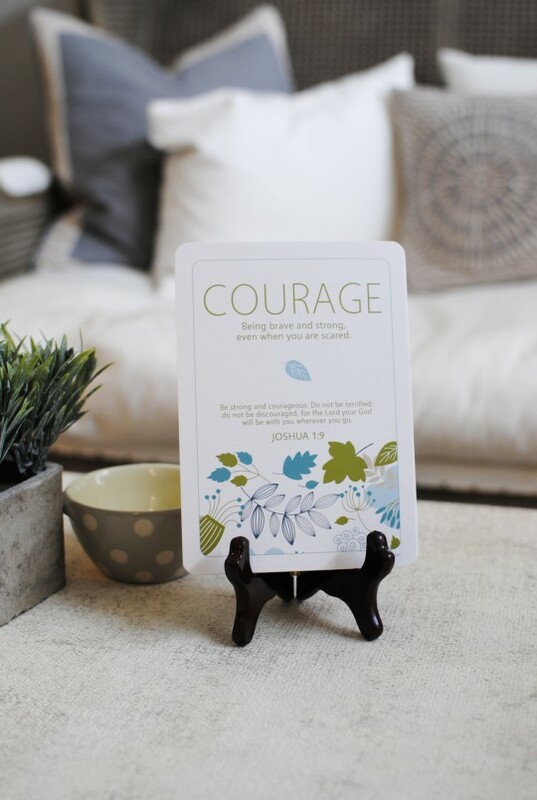 You can help your child begin to tie everyday character qualities to Scripture verses by getting your Virtue Memory Cards today! Click here for more information. Wonderful idea, and timely reminder! I think it’s a well-intended mom behavior. My now-grown sons have heard me say many times that no one blames kids for what their parents do, but what kids do does reflect on the parents. That’s just the unfortunate, knee jerk reality. Recommending these cards to everyone! Where can I get those scripture cards the article was about teaching our kids about God. She used nail biting as an example. Thank you so much. We are so glad you stopped by today! You can order her Virtue Cards at this link: http://www.p31bookstore.com/collections/featured-items/products/virtue-cards. I do not see a link to order the virtue memory cards. How can I get them? The underlined words at the very end of the post are the link, but you can simply go here to get them: http://www.p31bookstore.com/collections/featured-items/products/virtue-cards. Thank you for your kind encouragement, Lorie! You can simply go to this link to order a set: http://www.p31bookstore.com/collections/featured-items/products/virtue-cards. Thanks Lysa, for having your friend share about parenting. That story about her daughter was so sweet. My children are grown, and I remember how pliable my youngsters used to be. Precious! Oh Lysa, you speak such truth. You’re not afraid to be transparent and honest and not shy about wiring what we have felt at one time or another if we were completely honest. Where were you when I was raising my kids…oh wait you were probably growing up too…wow, sure wish it wasn’t too late. Thank you for being such a wonderful example of real people who need Jesus who aren’t perfect just forgiven. God richly continue to bless you and your family. I’m so glad you enjoyed Cindy! Keep up the great work. I was just about to make some cards for my boy’s and then I read this. I struggle with how my children make look and have for the last 4 years since my youngest has been in school. This is what I needed in this moment. Thank you for letting God speak through you! Thank you for the cards! I wanted to share a story about my son from this week. There are so many people who are truly afraid of the prospects of this election season. My 17 year old son sneaked out of the house the other night at one in the morning, drove down the road, and recorded this song. Given what many 17 year olds are sneaking out of their houses to do at 1:00 A.M… I am a blessed man! I hope his song encourages you. I just love you to pieces Lysa. You spoke at Church of the King in Mandeville not to long ago and I really enjoy your transparency. I am going through a custody battle and hope you can pray for my son and I.
I definitely understand the concern that a child knows the words and motions but not embraced them at a heart level. I was that child and am now a struggling adult, My parents did much right. He is real and good, but the choice is ours. I love your page. Your content is real and from the heart which means a lot to us out here, who are looking for some guidens.